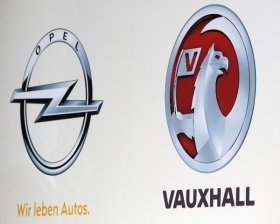 FRANKFURT -- Opel/Vauxhall expects to increase new-car sales by 100,000 next year, a German business magazine reported. The General Motors Co. unit also plans to achieve a 5 percent return on sales by 2016, Manager Magazin reported on Friday, citing company sources. Last year the Germany-based unit sold 1.19 million units. Opel forecasts sales of 1.3 million for this year. Opel CEO Karl-Friedrich Stracke is already expecting the brand will break even in 2011, one year earlier than planned. Stracke, who took up his post in April, aims to nearly triple Opel sales outside Europe to 150,000 from 60,000 within three years, the report said. Opel could not be immediately reached for comment.